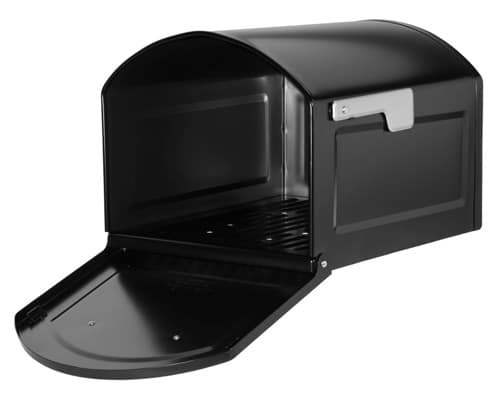 The Centennial Mailbox, shown in black, by Architectural Mailboxes has a striking design that combines aesthetics and functionality while still servicing all your mail and parcel needs. 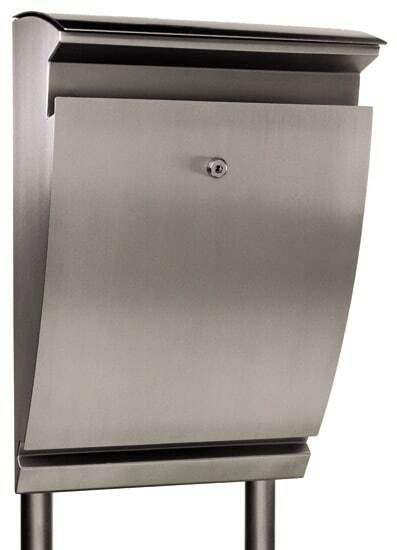 The mailbox is constructed with galvanized steel, comes in 3 powder coated finishes and features a die cast aluminum handle and rigid steel, powder coated flag. 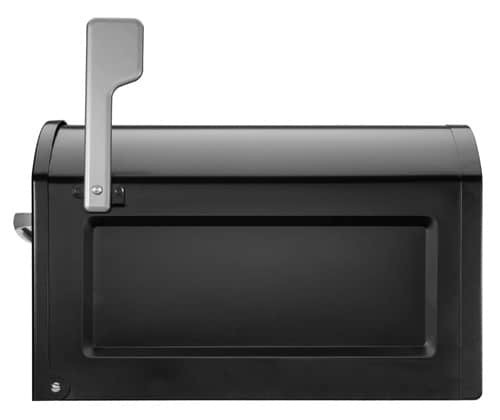 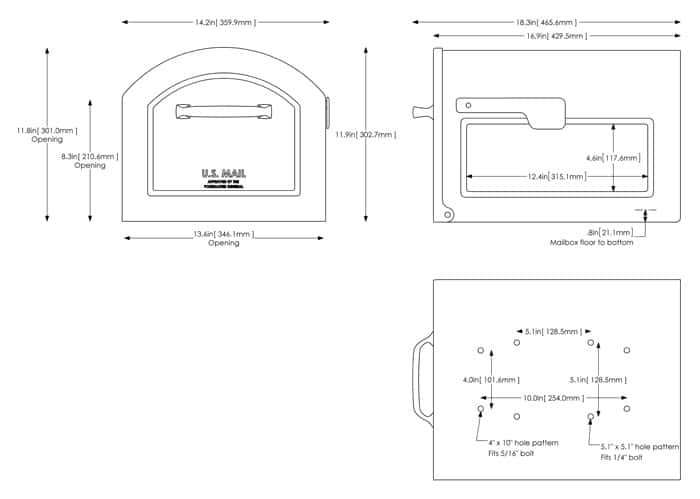 The Centennial is the first mailbox design to receive approval from the USPS under the new Standard 7C regulation, released in late 2015. 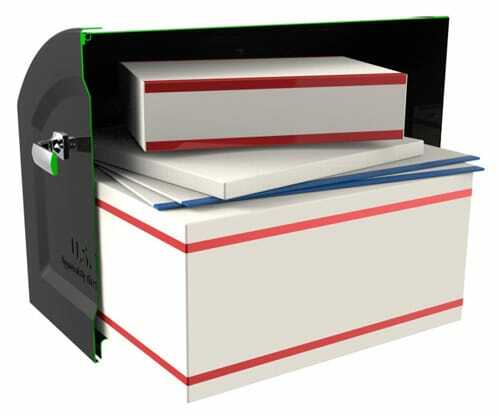 Architectural Mailboxes chose the name “Centennial” because it exemplifies the next generation of mailbox size, since the last USPS approved size was introduced in 1915. 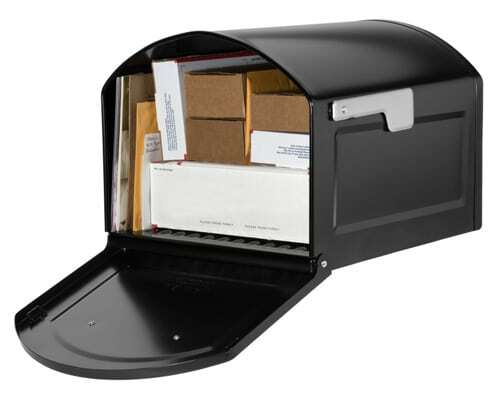 This post mount mailbox can meet the needs of today’s consumer due to its generous compartment that is designed to receive not only mail and magazines but parcels as well. 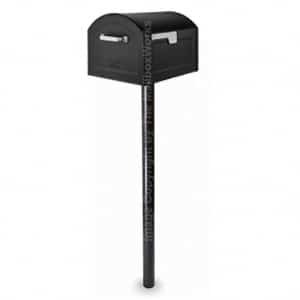 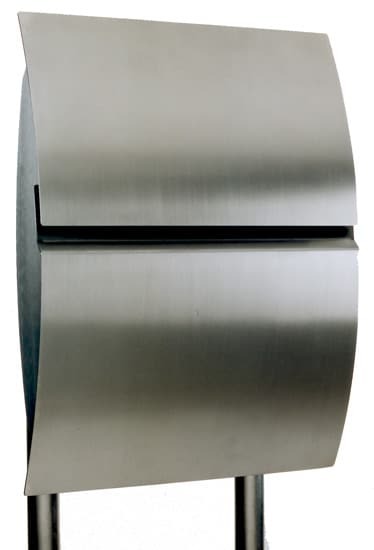 The Pacifica Post is an in-ground installation mailbox post that features a 3″ round galvanized steel tube. 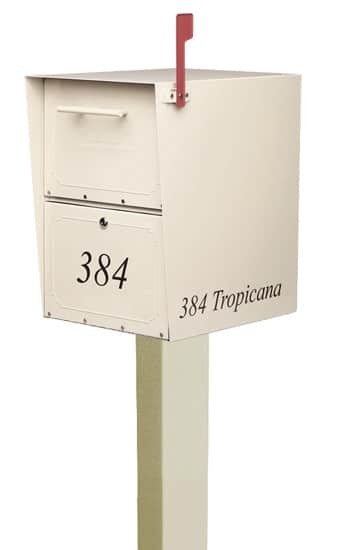 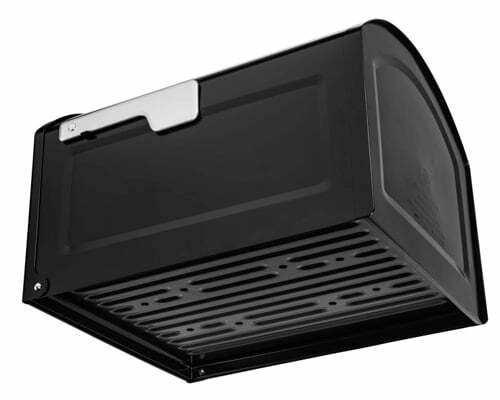 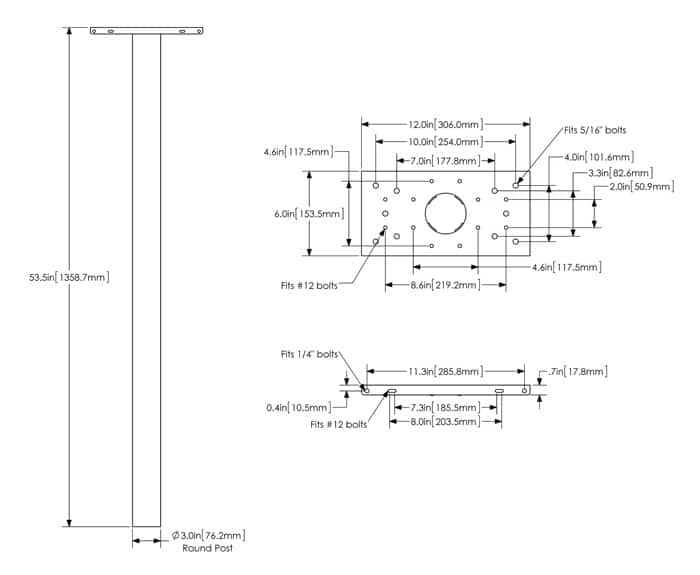 The top plate of the Pacifica Post makes the installation of your mailboxes easy. 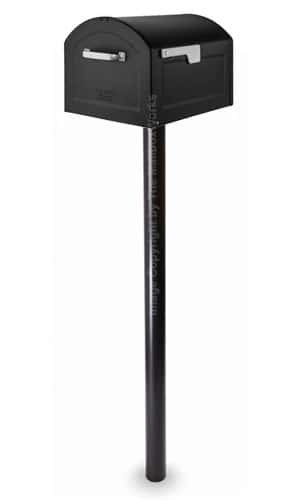 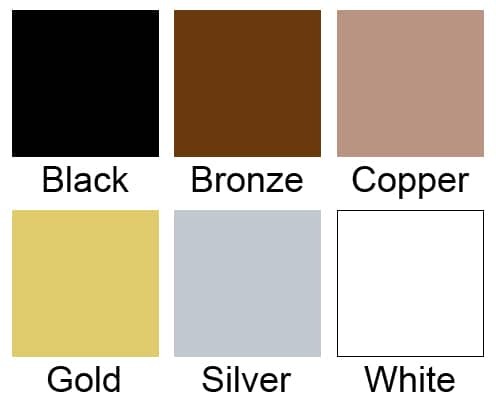 The Pacifica Post is fully powder coated in Black or Rubbed Bronze finishes and comes with assembly and mounting hardware. Customize your Centennial Mailbox by adding your street name and address to the sides in a 7 year guaranteed vinyl. 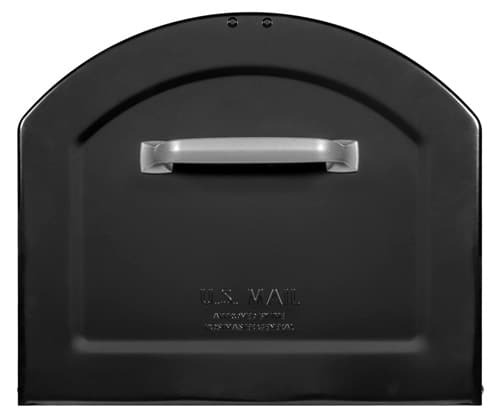 The self-applied lettering ships separately and comes in one easy to apply piece. 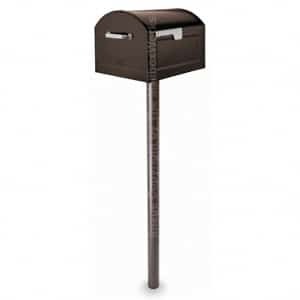 View more Post Mount Mailboxes. 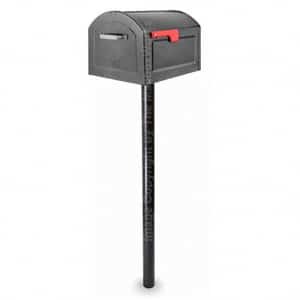 Mailbox Overall Size 11.9" 14.2" 18.3"